You are here: Home / The Basics / Should You Eat Coconut Oil? Should You Eat Coconut Oil? By now, you’ve probably seen the controversy around coconut oil. If you somehow missed it, let me give you a quick rundown of the situation. If you’ve been in the Paleo world (or basically the general wellness sphere) for any amount of time, you have probably noticed that coconut oil is a favorite oil among health experts. As you can imagine, this flipped the health world on its head. Before we fall into the trap of believing every headline we read on the internet, let’s dive into what the AHA article claims. They then go on to recommend that this happens concurrently with adopting either the DASH or Mediterranean diet. 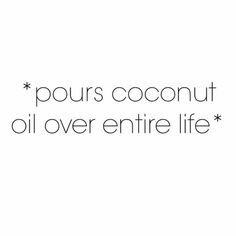 They also recommend replacing coconut oil with polyunsaturated fats (essentially vegetable oils) like corn and soybean oils. The article is 25 pages, and I’d definitely recommend reading through it if you’re curious about the full stance taken by the AHA. 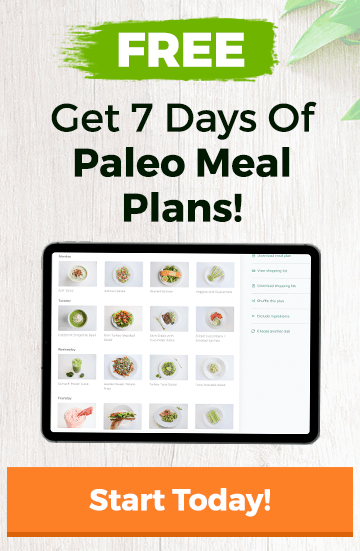 But – it’s obvious that this is pretty opposite of what Paleo recommends, huh? As you can imagine (and maybe you have already read), it didn’t take long for a lot of really well-researched rebuttals to start popping up from doctors and health experts. I’m going to link and summarize some articles that I’ve found helpful. I hope you do too. Taubes makes the point that the research that the AHA cites in their article falls right in line with what they’ve always recommended (saturated fat is bad – replace it with polyunsaturated fats). He calls this cherry picking – they accentuate the positive research and ignore the research that says otherwise. He specifically points out that the AHA claims that only four studies have ever been done with a methodology that allows for a correct assumption to be made about saturated fat and the linkage to cardiovascular disease. Taubes runs through many reasons why this is not the case. The four studies that the AHA cites as proof are also decades old. And he points out that the AHA themselves says that it’s too difficult to continue these studies years later. I LOVE this article because it clearly and concisely lays out both sides of the story. If you’ve ever tried to research anything to do with nutrition, you know that you can find research that falls in line with your beliefs or completely rejects it – on the same subject! Nutrition is rarely ever black and white. If I stress one thing about nutrition it’s this – EVERY BODY IS DIFFERENT. This article gives you fact-based evidence that researchers have found on coconut oil. Read this article to learn all we know about coconut oil at this time. Polyunsaturated fatty acids (PUFAs) are high in omega-6s. A person’s omega-3 (found in foods like wild-caught fish) to omega-6 ratio determines the body’s inflammatory potential. Increasing consumption of the pro-inflammatory oils the AHA recommends in their study seems irresponsible – especially considering that many of today’s chronic diseases can be linked back to prolonged inflammation due to the standard American diet. LeVere makes the argument that dietary cholesterol has been shown to not have the effect it once had on serum cholesterol levels in the body. In fact, low cholesterol levels can be detrimental to a person’s well-being. 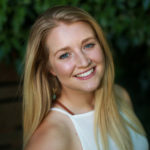 LeVere also links to many studies that have shown the positive impacts that saturated fat can have on a number of health conditions including increasing HDL – the “good” cholesterol. Lastly, coconut oil has a number of health-promoting benefits including reducing BMI and waist circumference and has anti-inflammatory, analgesic, antibacterial, and antipyretic properties. You didn’t think I’d leave out our good friend, and Paleo expert, Mark Sisson, did you? Sisson points out that the AHA has long had an agenda against saturated fat consumption and continually cherry pick their data to support their argument. 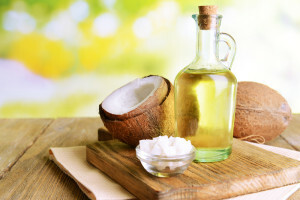 He points out that coconut oil has been shown to have favorable health benefits – like raising HDL (the “good” cholesterol), improving cardiometabolic status in patients with heart disease, and can help your skin, hair, and teeth. As any great argument does, Sisson also lays out the not-so-great points of coconut oil. He admits it does raise LDL (the “bad” cholesterol) as the AHA claims, but this may not be as concerning because of the positive effects. These four articles, in my opinion, lay out some interesting points – as well as being incredibly well-researched. Will I be cutting coconut oil out of my diet completely? Heck no. That being said, I don’t eat spoonfuls of it a day either. I use it in moderation – just as I do with any other whole food. Like Sisson, I tend to use coconut butter more frequently than the oil because you’re getting the fiber with the butter as well. I really detest buzzy, catchy headlines that take a hard stand on nutrition one way or another. The issue is rarely black and white, and we need to look at issues from a number of unbiased angles. You can make that decision for yourself based on your personal health history and wellness goals. I would definitely recommend getting the whole story on coconut oil first before cutting it out of your diet completely. Read through the original AHA article and understand that the AHA doesn’t have the best track record for recommending unbiased information. Read through the articles that I have linked. Use your mind, critical thinking skills, and best judgment. Be on the lookout for new research and be sure to always check your sources. 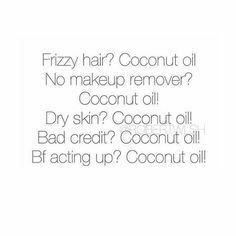 Coconut oil has saved my life. There is no way I am giving it up. My joints thank me. My brain thanks me, And my lipid panels thank me. My hair and skin are at their healthiest in decades too! So they can take their so-called research and shove it.